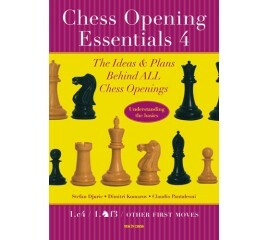 Chess Opening Essentials is an accessible primer and a reference book at the same time. It gives a flavor of how every opening works and explains the similarities with other openings as well as the differences. In addition, it also points at the various middlegame plans that apply after the opening has ended. This volume helps beginners to develop a solid understanding of fundamental opening ideas, gives casual players the ability to choose the opening that suits their style and taste, is a tool for club players to test and review their opening repertoire, as well as a reference book to which advanced players keep returning. 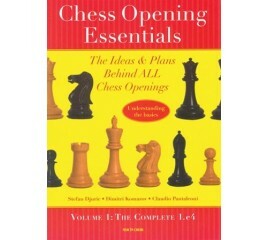 This volume helps beginners to develop a solid understanding of fundamental opening ideas, gives casual players the ability to choose the opening that suits their style and taste, and is a tool for club players to test and review their opening repertoire, as well as a reference book to which advanced players keep returning.